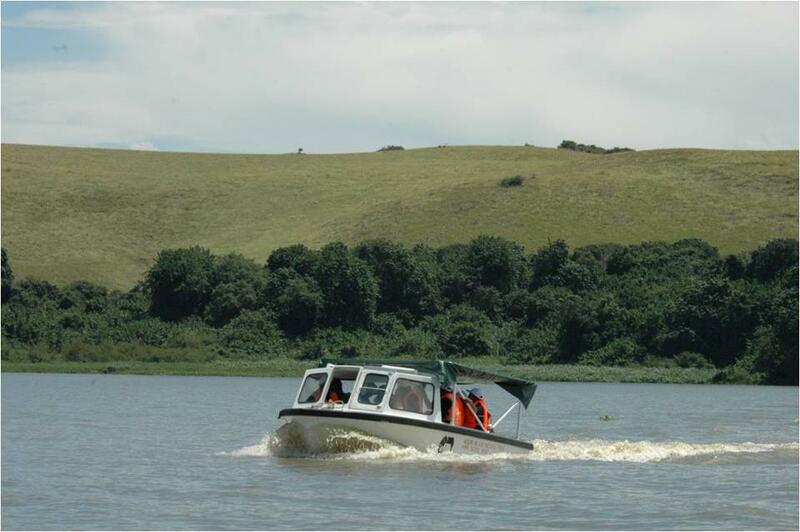 Lake Mburo National Park is conveniently located along the western highway between Masaka and Mbarara districts. 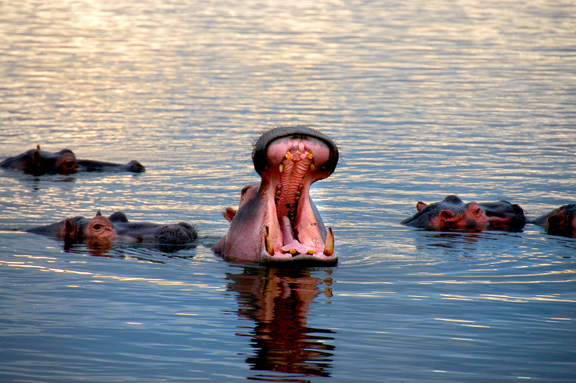 Lake Mburo National Park covers approximately 370 square kilometers in size. 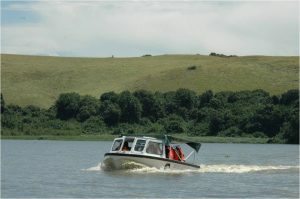 Lake Mburo National Park is an incredible little park perfect for short Uganda wildlife safaris. Lake Mburo National Park is a distinct place with unique wildlife like the giant eland antelopes, zebras, impala, and acacia associated birds. Lake Mburo National Park is a home to over 69 mammals common of which are, warthogs, buffalos, defassa waterbucks, oribi, reed bucks and many more. 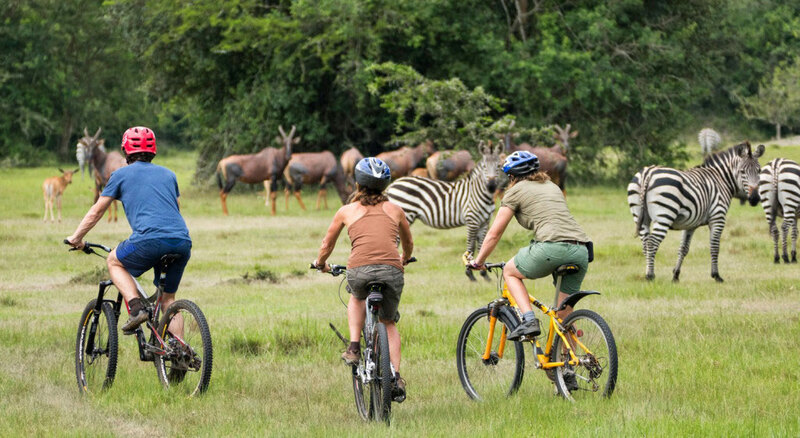 Uganda’s Lake Mburo National Park can be explored on your 3 days Lake Mburo Uganda wildlife safari with amazing game drives, boat ride along Lake Mburo and taking a nature walk safari in search for wild animals that live in this park. Lake Mburo National Park also offer bird watching opportunities especially for people interested in Uganda birding safaris. Lake Mburo National Park has about 350 bird species recorded here including the Abyssinian ground hornbill, White-winged Warbler, Crested Francolin, African Wattled lapwing, Black-bellied bustard, Saddle-billed stork. It is one of the best places to find African fin foot, papyrus bush shrike. Day 3: Transfer from Lake Mburo National Park – Kampala. Our Uganda safari driver guide will pick you up from your hotel in the morning at 6am and embark on your journey to Lake Mburo National Park. On your way, you will have a stopover in Kayabwe at the Equator where you will perform a simple water polar experiment to experience a tropical balance at the equator, take photos for memories and thereafter proceed to Lake Mburo National Park for Lunch and after do your afternoon boat cruise on Lake Mburo. 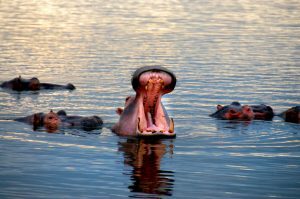 During your boat cruise, you will sight crocodiles, hippos and water birds including; Fish Eagles, Pelicans, Black crake, Heron, Cormorant. After the boat cruise, you will return to your lodge in the evening, dinner and overnight. 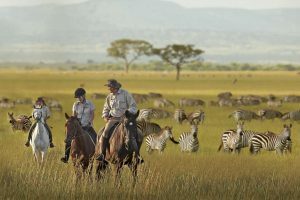 After your early morning breakfast, your safari guide will pick you up at the lodge to explore the park with a game drive where you will sight peaceful animals like the zebras, impalas, Topis, buffaloes, elands and others. 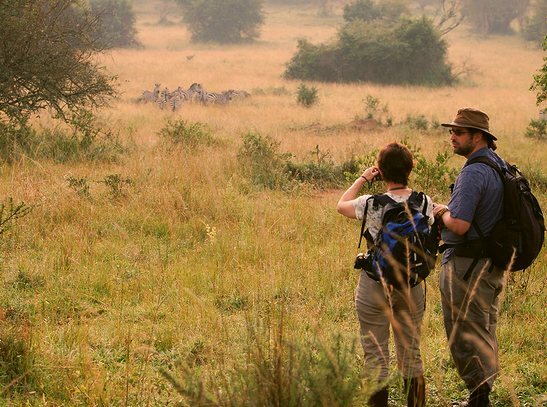 Uganda bird watching safari opportunities are excellent here in Lake Mburo National Park, since the park has about 350 bird species recorded there including, White-winged Warbler, Crested Francolin among others. After exploring the park during your game drive, return to the lodge for lunch before heading out for horse riding in the afternoon. 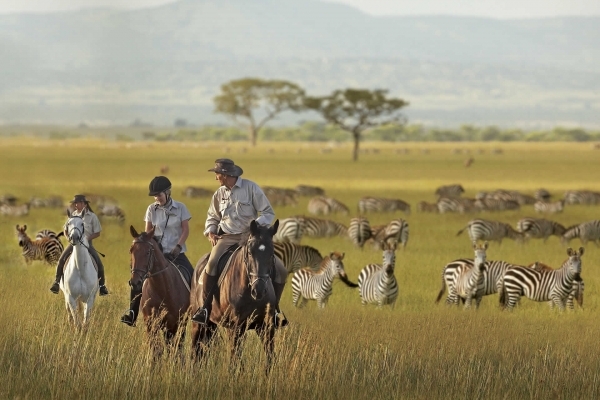 Horse riding safaris offer you opportunity to get close to the animals. 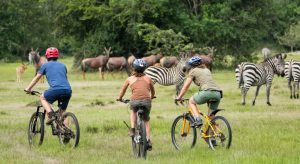 On your day three, you can choose on doing a nature walk in the park, quad biking in the park amongst animals, cycling in the park or do spot fishing on Lake Mburo. After doing your activity, or activities, you will return to Kampala if you stay around there or to Entebbe international airport to catch your flight back home.